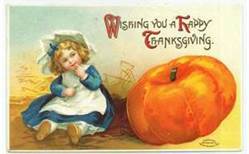 Just Romantic Suspense: Happy Thanksgiving! Thanksgiving has always been a special day in our house. Whether it’s just my husband and myself, or the whole family we celebrate the day with a large meal and a moment of reflection. I was raised in a very traditional Irish Catholic home. We bowed our heads and prayed before every meal. But Thanksgiving was a day to say what we were thankful for. We would say our evening prayer than we would start with the youngest and go around the table. The memories I have are priceless. The times I love to reflect back on. I was the middle child so I would listen to what my younger sisters would say, knowing I had to find something that was a little more important than them. We were always a little competitive, sand still are. There was one Thanksgiving dinner that I will never forget. I listened intently to the younger ones, waiting my turn. I knew mine was going to be the best. I was going to be thankful for God because he protects us. That would make my parents smile. They swore I never paid attention in church. Well I did and I knew he was all forgiving, and I was hoping my parents were too because I really messed up that day. My dad raised hunting dogs and we were not allowed to play with them once they were in the pen. Well I didn’t listen, like that was a surprise to anyone. I got in the pen and played with the dogs then left, and when I did I left the gate open. It took my sisters and me a long time to get them back in because they wanted to play with the other dogs. Okay, to make a long story short. My sister was mad at me for making her miss cartoons so she said she was thankful we were able to get Macy and Shadow back in the pen. My parents were furious. They glared at me and asked what I had to be thankful for. I sat up straight and glanced at my sister and told them I was thankful she was sitting on the other side of the table or I would punch her. That Thanksgiving dinner was long because my bottom was sore. But a few months later we had a new batch of puppies to play with. So in the eyes of a seven year old it all turned out good. This year look around you. Whether you’re sitting at your coffee table alone, or sitting at a large table filled with friends and family, be thankful for life’s little things. I know what I’m thankful for, my great family, friends and relaxing in a hot bubble bath with a good book. So tell me what you’re thankful for. What if you woke from a nightmare, trapped in a world of darkness, with no memory of how you got there? Rescued from the Dark is a passionate, gripping story about FBI agent, Jason Michaels, confronting his duty to his country, and struggling with his feelings for a woman with no memory of their love. Undercover Agent,Jason Michaels, infiltrates the terrorist cell and risks everything, even his life, to save the FBI intern who stole his heart, then walked away. Once Mercy wakes from her coma Jason struggles with the fact that she does not remember what happened, but anguishes with the idea that she believes their unborn child belongs to her ex. Jason soon realizes the terrorists vow to get her back to claim their secrets locked in her memory, no matter what the cost. In a race against time, Jason and Mercy struggle to fight their attraction, and put their differences aside, as they launch a manhunt to save their country and each other. I'm also thankful for family and friends (some of whom are more like family). I'm also thankful for discovering new authors and great books! Rescued from the Dark sounds really good - can't wait. I want to start by Thanking Maureen for letting me share a funny Thanksgiving memory. I have three children in the military and two are oversees. To keep my mind from worrying about them I keep things on the lighter, funny side. I am Thankful for all our military that protect us and all our friends and family today. Thanks Karen. Rescued from the Dark is my first book and to see others interested in it gets me even more excited for the release date. Happy Thanksgiving to you and your family, and thanks for stopping by. I am thankful for all the traditional things... family, friends, having what we need and able to get a few of our wants. This year I have something extra to be thankful for. Last year I was diagnosed with wet macular degeneration. I will eventually be blind. Books have always been a very important part of my life. My earliest memories to today include books. While my eye disease has progressed to a point it can't be healed in any way other than transplant ...TODAY I still have eyesight. I was able to read a book and see this post. I am thankful. My brother was diagnosed with the same thing last month. We are also thankful for his eyesight. The simple things we take for granted everyday are what we should cherish the most. Thank you for sharing this with us. 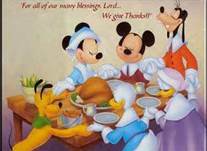 I hope your Thanksgiving was one filled with family, friends and full of many memories you will cherish in the future.